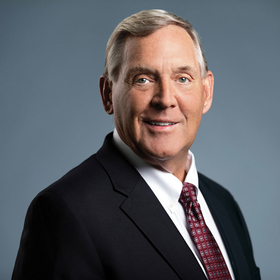 Todd Ebert is president and CEO of the Healthcare Supply Chain Association, Washington, D.C. In my nearly 40-year career in healthcare, I've learned that one of the only certainties is that the industry is always in flux. While the challenges providers face continuously change, there is one constant: the critical role group purchasing organizations play in helping providers care for patients. Year after year, GPOs find innovative ways to help providers save money while enhancing the quality of care they provide. world and academic evidence has affirmed the value of GPOs. Despite that, there is a small group of skeptics (“Professors argue GPOs' 'pay to play' fees drive up healthcare costs,” ModernHealthcare.com, Oct. 19) who trot out the same tired arguments to provoke undue scrutiny of GPOs. GPOs deliver cost savings. This is a settled matter, studied by economists, the industry, and in independent academic settings. GPOs save hospitals, Medicare and Medicaid, and taxpayers up to $55 billion annually. In 2017, former U.S. Federal Trade Commission Chairman Jon Leibowitz examined the GPO market and determined that they save money for providers, patients and taxpayers; GPOs promote competition; and the current GPO funding model lowers costs. A 2018 study by the Wharton School and American Hospital Association found that hospitals are overwhelmingly satisfied with their GPO cost savings. The voluntary nature of GPO contracts is further evidence of cost savings. Hospitals are not obligated to use GPOs—and they don't when they can get a better deal elsewhere. Suppliers are similarly not required to contract with GPOs—they do because they find value. GPO contracts are the product of open competition and evaluation by provider advisory committees. Member clinicians and pharmacists are closely involved in contracting decisions, ensuring the process provides objectivity, consistency and economic stability for members and suppliers. A 2010 Government Accountability Office report found that, on average, hospitals belong to two to four GPOs, which compete with one another for business. In an era of cost-containment and heightened transparency, GPOs disclose in writing all administrative fees at least annually to members and any supplier agreements with fees above 3% are specifically disclosed to members. The 2010 GAO report found the average weighted administrative fee, which allows GPOs to provide valuable services to providers, ranges from 1.22% to 2.25%. GPOs also voluntarily participate in the Healthcare Group Purchasing Industry Initiative and submit to an annual, independent review of company business practices. Beyond cost savings, GPOs have played a crucial role helping hospitals prevent and mitigate threats to the supply chain, such as prescription drug shortages. As the Food and Drug Administration has repeatedly noted, drug shortages are caused by quality control problems, manufacturing issues and barriers to getting new suppliers on line. GPOs work with hospitals, physicians, manufacturers, distributors and government agencies to ensure hospital and patient access to life-saving drugs. They help hospitals source and safely migrate to alternate products when shortages arise, track data on potential shortages, communicate with suppliers about product demand, evaluate supplier reliability when awarding contracts, establish best-practice purchasing procedures, and allow suppliers to adjust contract prices when they experience disruptions to production. Recently, some have attempted to conflate GPOs and pharmacy benefit managers—but each has a distinct model and role in the supply chain. GPOs serve hospitals and other providers by negotiating supplier contracts. Often, GPOs are owned by member providers. PBMs serve third-party payers, including commercial insurers, government payers and employers in the retail and outpatient prescription arena, by negotiating pharmaceutical supply and reimbursement arrangements. GPOs operate under the federal GPO “safe harbor” provisions and are subject to specific regulatory requirements regarding reporting and fee arrangements. They do not keep rebates on member purchases. If a supplier provides a rebate, it is passed through to the provider as a direct cost reduction. As I retire, I leave proud to have worked in an industry dedicated to problem-solving for America's healthcare providers so they can focus on delivering high-quality, cost-effective care.